As the Philippines struggles to deal with the aftermath of Typhoon Haiyan, which ripped through the country two weeks ago, the United Nations Population Fund (UNFPA) is focusing on re-establishing women’s health and safety services. The nation’s death toll stands at 5,200 people and is expected to rise. Millions of others have been displaced, resulting in a majority of women being left particularly vulnerable. 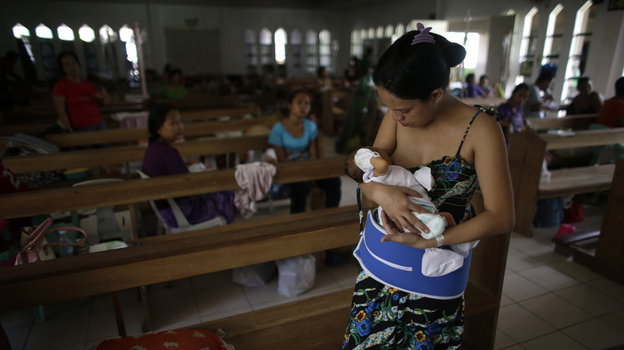 Funds from the UNFPA program will be contributed to providing emergency maternity care and facilities in the Philippines, including the establishment of temporary birthing facilities and theatres. Women and girls of reproductive age will also be given access to basic hygiene items along with access to reproductive health care services. Furthermore, there is a heightened risk of women and young girls being trafficked due to their desperation for aid and alternative livelihoods. The UNFPA also aims to combat this risk by deploying extra female police officers and reconstructing safe havens in various regions throughout the country. This entry was posted in News, World and tagged aid, News, Philippines, UNFPA, women, world. Bookmark the permalink.